Fastlane Forwarding is an international shipping company based in the UK that offers car shipping, commercial goods shipping and personal effects shipping to countries like; Kenya, South Africa, Tanzania, Namibia, australia, Ghana and many more. 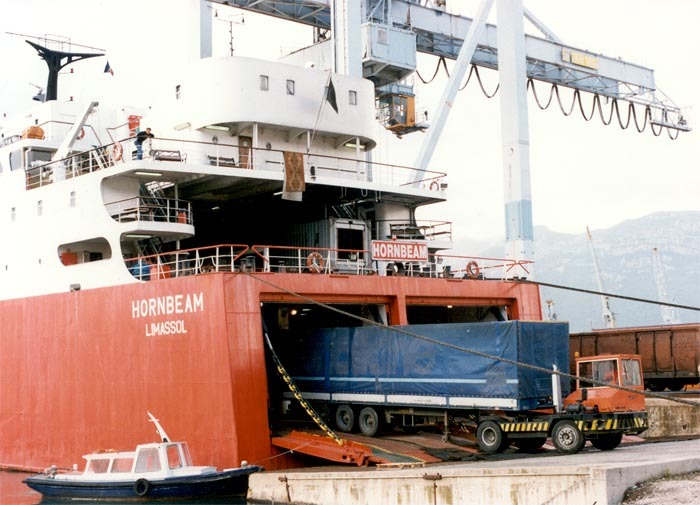 Roll-on/roll-off (RORO) ferries carry cargo such as Cars, Lorries, Trucks, and Trailers. Through roll on roll off, Fastlane can offer Truck shipping and many more. The trucks,Lorries, cars and Buses are driven onto the vessel for shipping. The vehicle is usually offloaded from the Ship by driving it out on to ramps aligned with the cargo deck. Most major ports in Africa, Australia, Asia and the caribbean all offer this car shipping service. The cost of shipping cars on RORO is by far the cheapest method available . Rates can vary from £400 to £1600 depending on the destination. Cars, commercial freight and personal effects can also be shipped overseas in 20 & 40 ft containers. Our Port agents will position your Private container at the loading bay. After that, a professional car loader will drive your car into the container and will secure it for shipping.Fastlane can also deliver the container to any address in the UK for self-loading. Please note that loading cars at home can be a bit difficult to do by yourself at your home address so get in touch for more advise. For commercial freight, we can deliver the container to your warehouse for 3 hours or for up to 2 weeks if needed. When the container reaches the destination you will be called to open the container. This type of container shipping is more expensive because it protects your freight cargo from any damage on board. Australia, Abidjan, Angola, Benin , Bahamas, Bangladesh, Barbados, Botswana, Cyprus,Congo, Dominica, Guinea Conakry, Gambia, Ghana, Gabon, Far East, Angola, Nigeria,Morocco , Abidjan,Senegal, Brazil, Sierra leone, Togo, Liberia ,Hong Kong, Congo (Boma and point Noire) , Cameroon, Jamaica, Malta, Malaysia, Mauritius, Mozambique, Namibia, New Zealand, Pakistan , Kenya, Norfolk Island (Australia), South Africa, Tanzania, Trinidad and Tobago, Uganda. Zambia & Zimbabwe. Please contact us if you country is not listed. Fastlane can assist with importation of goods into the UK from any destination worldwide. Please contact us for more information on importation of personal effects, commercial goods, classic cars and all other types of goods. We import goods into UK ports of Felixstowe, London, Southampton, Hull, Liverpool, Manchester and Immingham.